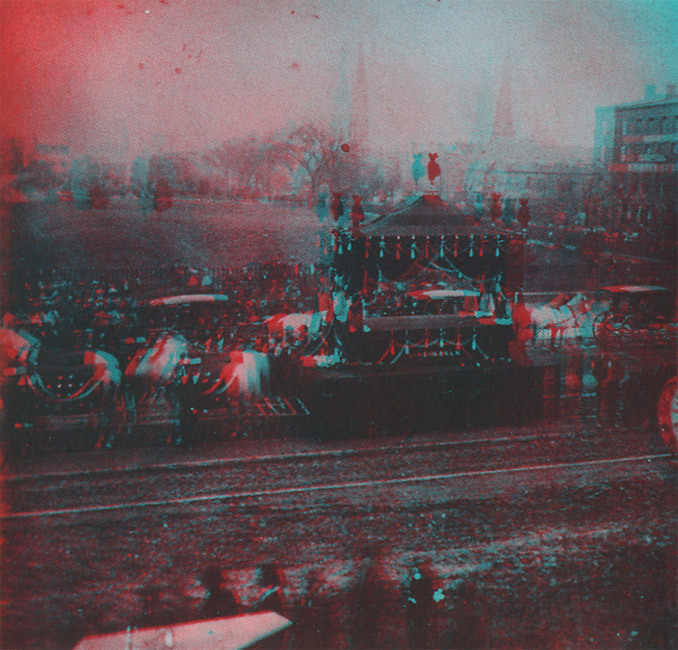 This photo shows Lincoln's funeral in Columbus, Ohio. The casket has been removed from the bier by the pallbearers, who are taking it to the state capitol building. Lincoln's body was taken on a twenty-day trip from Washington to Springfield, Illinois, with stops at all the same places that Lincoln stopped on his way to Washington in 1861.